Some people may know about osteoporosis and calcium supplementation’s effects on bones. However, calcium is just one component of proper bone health, so here I will discuss with you the importance of various weight bearing exercises and the tremendous impact it can have on your long-term bone health. Because bones are some of the most rigid and sturdy parts of the human body, many people tend to forget that bones are living tissue and, much like muscle, they are being continually broken down through exercise and movement and replaced with new, stronger tissue in a two-step process (resorption and formation) which occurs throughout life. In resorption, old bone is broken down and removed by cells called osteoclasts. In formation, cells called osteoblasts build new bone to replace the old bone. During childhood and early adulthood, more bone is produced then removed and bones reach their maximum mass and strength by about the age of 35. After that, bone is lost faster than it is formed, so the amount of bone in the skeleton begins to get smaller. Imagine your bone density measured on a bell curve; bone mass develops in childhood, adolescence and even early adulthood reaching “peak bone mass” between 30 to 35, then beginning to gradually decrease from that point. When young women and men exercise, they are able to reach a greater peak bone mass than those who do not. But what if you are older than 35 and looking to improve bone health? The good news is that weight-bearing exercise helps strengthen your bones no matter how old you are. Exercise not only slows the rate of bone loss in most people, but that increased balance and coordination also helps prevent fracture-causing falls and accidents. 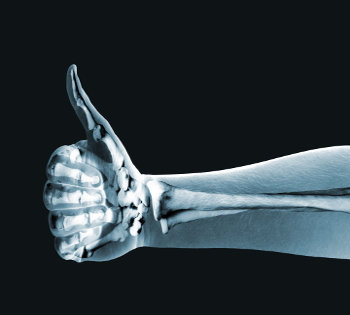 So what are some good ways to increase your bone strength through exercise? In this article, I will walk you through some of the easiest, most fun and efficient activities for fending off osteoporosis. If you’re the type who is not looking for anything too adventurous or complicated, the good news is that brisk walking is actually terrific for your bone health, according to the National Osteoporosis Foundation. In fact, a recent study found that you can lower your risk of hip fractures by 41% by simply walking four hours a week (compared to those who walk an hour a week or less). Any walking is helpful, even if your fitness level dictates that you have to walk slowly. However, if you are physically able to walk at a brisk pace, not only will your bone health improve more but your cardiovascular health will show improvements as well. Speaking of walking at a brisk pace, hiking is even better for bone health than just walking. The increased difficulty of hiking, in which you are moving more quickly and often traversing steeper inclines and declines, forces your bones to work harder to support your frame which causes your bones, like your muscles, to build stronger than they otherwise would be. Plus, with hiking, you’ll be getting the added benefit of being outdoors, breathing in fresh air and exploring new landscapes. When many people think of yoga and tai chi, they underestimate the benefits that these kinds of activities have on bone health. A study in the medical journal Physician and Sportsmedicine, found that tai chi, a “soft” martial art that involves a series of slow, graceful moves, may slow bone loss in postmenopausal women significantly compared to those who do not practice it. The women in the study engaged in tai chi for 45 minutes a day, five days a week, for a year. At the end of the study, bone mineral density tests found that the rate of bone loss in the tai chi group was three-and-a-half times slower than the group who did not practice tai chi. Yoga is similarly beneficial in that it is a relaxing, yet physically-demanding, activity that does wonders for bone strength and general wellness. In fact, a study in Yoga Journal found that women who practiced yoga regularly had an increase in spinal mineral density compared to those who did not practice yoga. Yoga’s various poses especially tend to build strength in the wrists, hips and spine, which are particularly vulnerable to fracture. Whether you are looking to build strength in the large bones of the hips and legs, or the back muscles that are so crucial for maintaining spinal health, yoga has poses to target every set of bones and muscles in your body. And, just like with tai chi, the meditative aspect of yoga comes with a plethora of mental benefits, as well. If walking and yoga sound too tame for your liking, it turns out that racquet sports (such as tennis, squash, and racquetball or badminton) are also fantastic for building bone strength. The British Journal of Sports Medicine extensively examined case studies regarding tennis, specifically, and found that individuals who play tennis have significantly improved bone health. This is primarily because every time you hit the ball, you put bone-strengthening stress on your racquet arm, shoulder and wrist. The bones in your hips and spine also get a great workout every time you have to chase after the ball. No matter what your favorite physical activities are, strength training is an important part of both excelling in those activities and keeping your skeletal system strong. For those of us who claim we “have no time” to exercise, are tired of dealing with recurring pain, or are concerned with future health issues, SuperSlow strength training may be the way to go. SuperSlow strength training is a form of physical exercise involving slowly lifting a weight over a 10-second period and then lowering the weight slowly for the same amount of time. SuperSlow workouts typically consist of one set of each exercise carried out to complete muscle fatigue. This technique not only makes your workout more efficient, due to the fact that it is you controlling the movement of the weight rather than gravity and momentum during your workout, but it can also be a safer exercise technique for those of us with various aches or pains or those worried about their already-fragile bones. Make no bones about it; you’ve got to be strong! According to the book Healing Moves by Dr.’s Mitchell and Carol Krucoff, age-related declines in bone and muscle mass can lead to fracture and frailty that are the primary reason older adults wind up in nursing homes. If you want to remain independent, strong and happy late in life, it is so important to engage in weight-bearing exercise to keep osteoporosis at bay. The good news is that these types of exercise will help strengthen your bones (by increasing bone mass) no matter how old you are. By placing resistance and stress on the bone, these types of exercise are not only slowing the rate of bone loss by encouraging the resorption and formation process, they are also increasing balance and coordination which can help prevent fracture-causing falls and accidents. It’s never too late to take control of your life and ensure that your body will be dependable and strong for as long as you need it! Because bones are some of the most rigid and sturdy parts of the human body, many people tend to forget that bones are living tissue, and much like muscle, they are being continually broken down through exercise and movement and replaced with new, stronger tissue in a two-step process, resorption and formation, which occurs throughout life. In resorption, old bone is broken down and removed by cells called osteoclasts. In formation, cells called osteoblasts build new bone to replace the old bone. During childhood and early adulthood, more bone is produced then removed and bones reach their maximum mass and strength by about the age of 35. After that, bone is lost faster than it is formed, so the amount of bone in the skeleton begins to get smaller. Imagine your bone density measured on a bell curve, bone mass develops in childhood, adolescence and even early adulthood reaching “peak bone mass” between 30 to 35 then beginning to gradually decrease from that point. According to the book Healing Moves by Dr.’s Mitchell and Carol Krucoff, age-related declines in bone and muscle mass can lead to fracture and frailty that are the primary reason older adults wind up in nursing homes. If you want to remain independent, strong and happy late in life, it is so important to engage in weight-bearing exercise to keep osteoporosis at bay. The good news is that these types of exercise will help strengthen your bones, i.e. increase bone mass, no matter how old you are. If you’re the type not looking for anything too adventurous or complicated, the good news is that brisk walking is actually terrific for your bone health, according to the National Osteoporosis Foundation. In fact, a recent study found that you can lower your risk of hip fractures by 41% by simply walking four hours a week (compared to those who walk an hour a week or less). Any walking is helpful, even if your fitness level dictates that you have to walk slowly, however, if you are physically able to walk at a brisk pace, not only will your bone health improve more greatly but your cardiovascular health will also show improvements as well. When many people think of yoga and tai chi, they underestimate the benefits that these kinds of activities have on bone health. A study in the medical journal Physician and Sportsmedicine, found that tai chi, a “soft” martial art that involves a series of slow, graceful moves, may slow bone loss in postmenopausal women significantly compared to those who do not practice it. Yoga is similarly beneficial in that it is a relaxing, yet physically-demanding, activity that does wonders for bone strength and general wellness. Yoga’s various poses especially tend to build strength in the wrists, hips and spine, which are particularly vulnerable to fracture. Whether you are looking to build strength in the large bones of the hips and legs, or the back muscles that are so crucial for maintaining spinal health, yoga has poses to target every set of bones and muscles in your body. If walking and yoga sound too tame for your liking, it turns out that racquet sports (such as tennis, squash, racquetball or badminton) are also fantastic for building bone strength. The British Journal of Sports Medicine extensively examined case studies regarding tennis, specifically, and found that individuals who play tennis have significantly improved bone health. This is primarily because every time you hit the ball, you put bone-strengthening stress on your racquet arm, shoulder and wrist. The bones in your hips and spine also get a great workout every time you have to chase after the ball. No matter what your favorite physical activities are, strength training is an important part of both excelling in those activities and keeping your bones strong. Superslow strength training is a form of physical exercise involving slowly lifting a weight over a 10-second period and then lowering the weight slowly for the same amount of time. SuperSlow workouts typically consist of one set of each exercise carried out to complete muscle fatigue, this technique not only makes your workout more efficient, due to the fact that it is you controlling the movement of the weight rather than gravity and momentum during your workout, but it can also be a safer exercise technique for older people or those worried about their already-fragile bones. 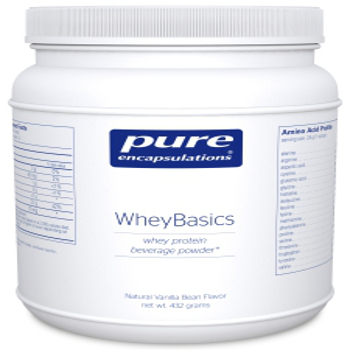 WheyBasics provides 21 grams of highly purified, undenatured whey protein per serving in a great-tasting, naturally flavored formula. Whey protein naturally contains high levels of l-glutamine and branched chain amino acids, as well as immunogloblins and lactoferrin to support nutritional health and immune system function.